This course covers emergency situations common in the school environment and is therefore ideal for teachers and other school support staff. Teachers and school ancillary staff. 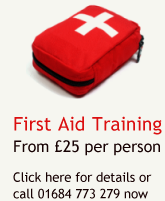 First aid procedures pertinent to a school environment.